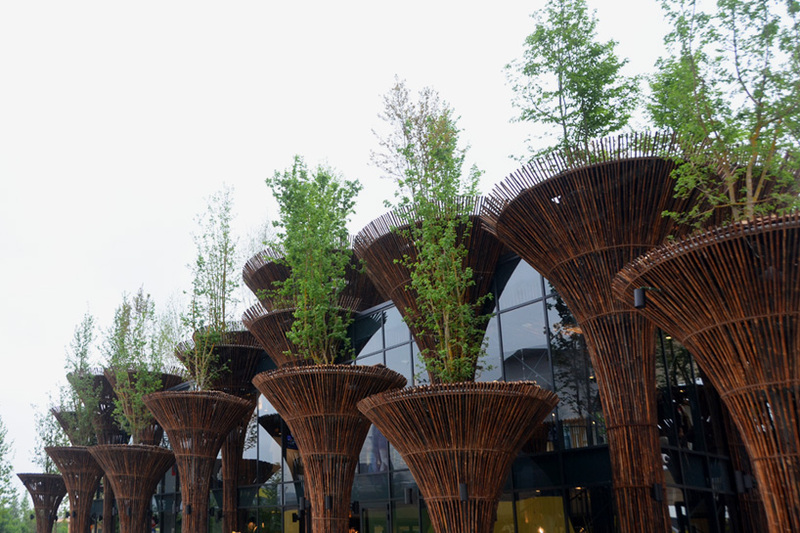 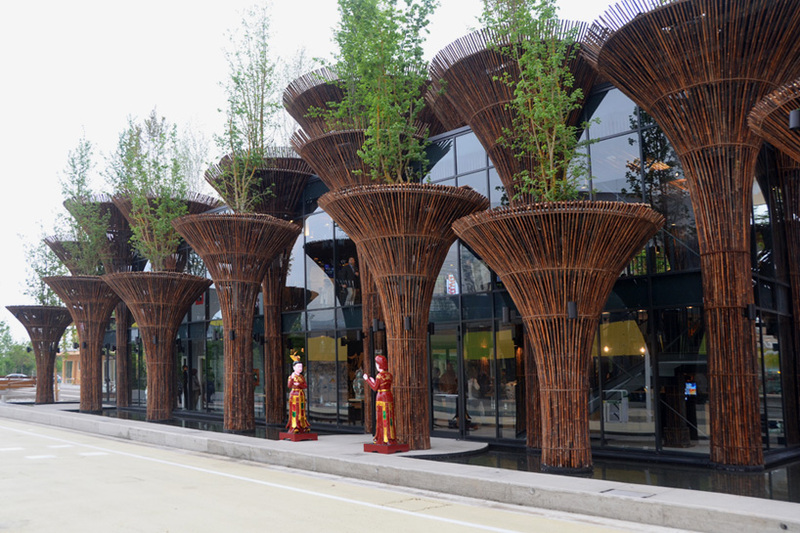 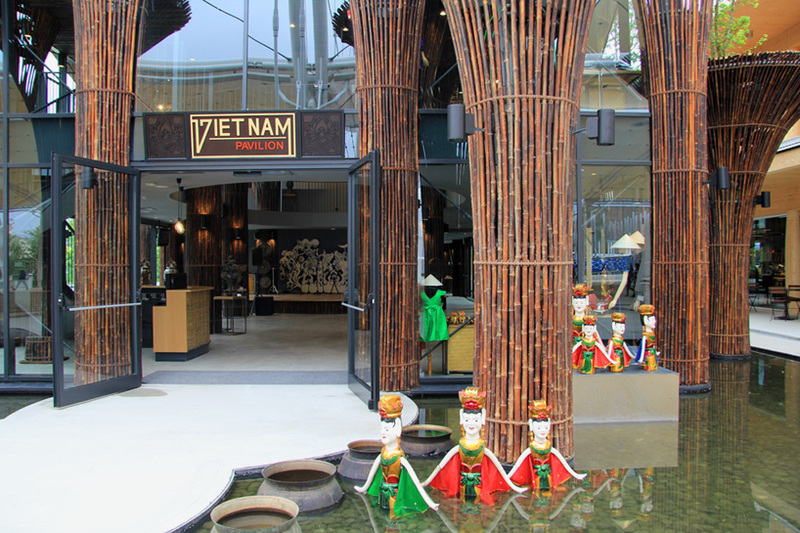 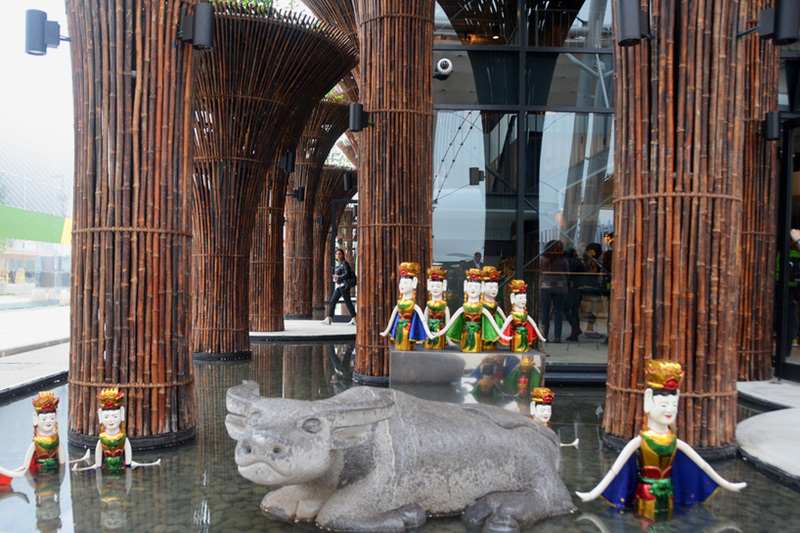 vietnam’s national pavilion for expo milan 2015 has opened, responding to the encompassing theme of ‘feeding the planet, energy for life’. 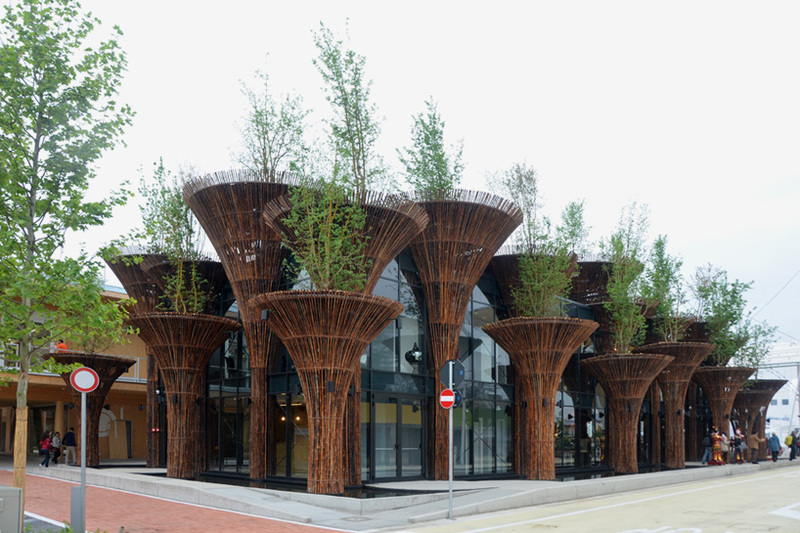 designed by vo trong nghia architects, the project examines globally increasing population levels and the strain this places on our environment. 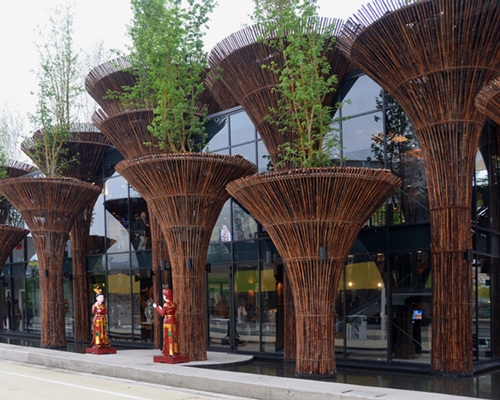 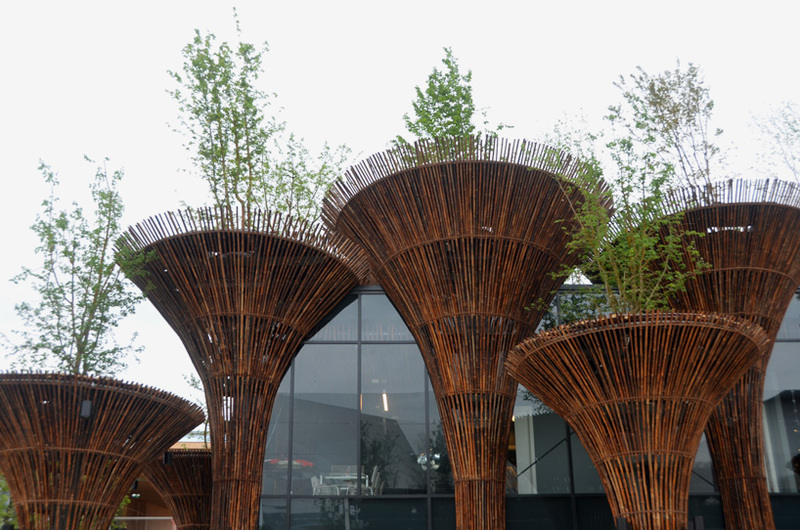 the temporary bamboo structure references the lotus, vietnam’s national flower and a symbol of optimism for the future. 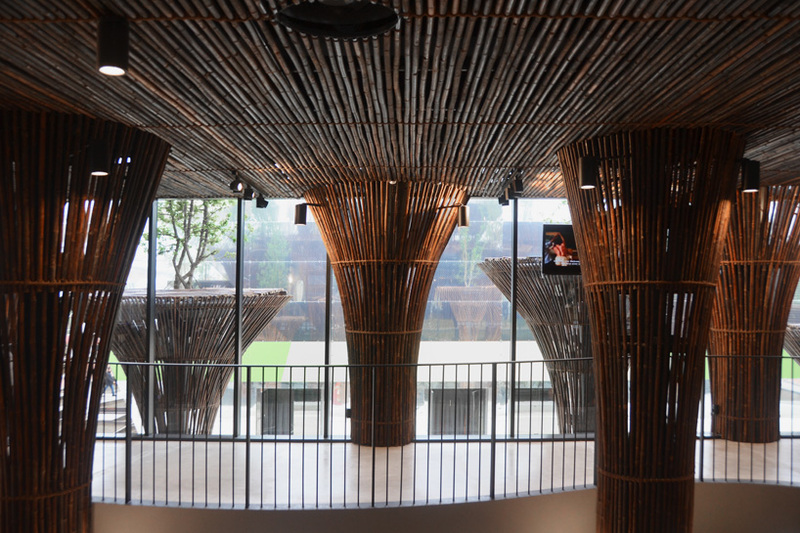 exhibition space is articulated around a shallow pool that surrounds the pavilion, cooling air and providing a pleasant micro-climate. 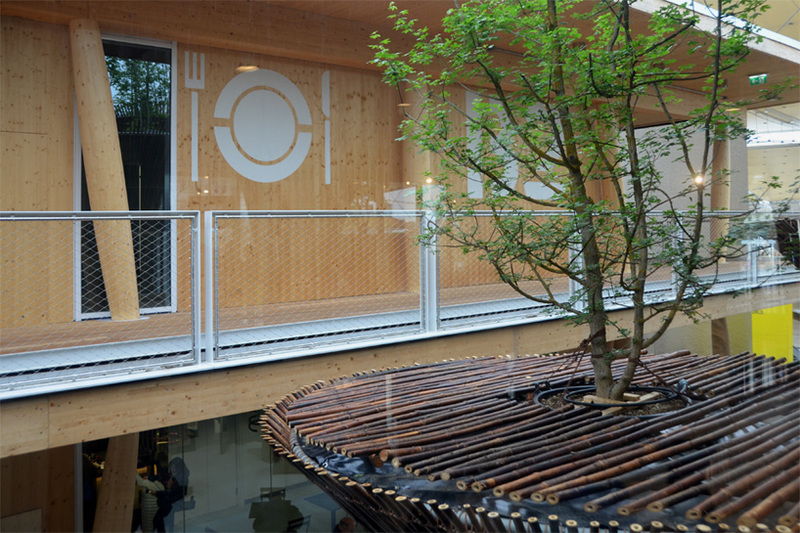 guests traverse the water on lotus leaf-shaped platforms which provide shaded space for external recreation. 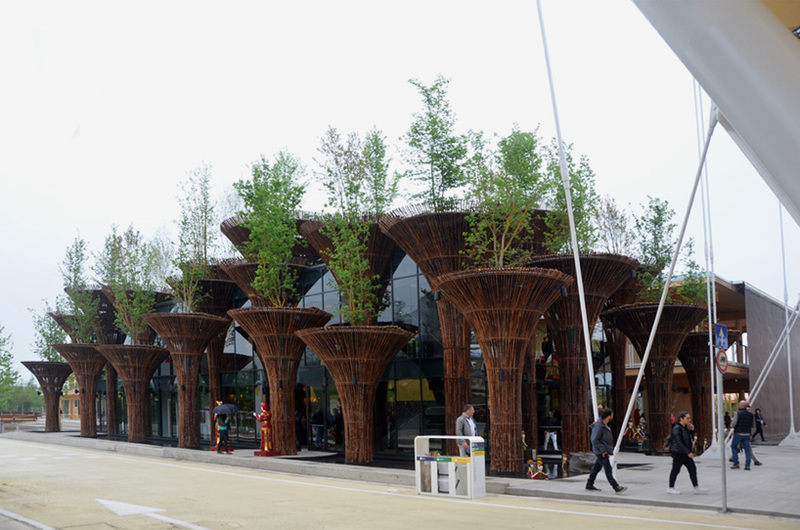 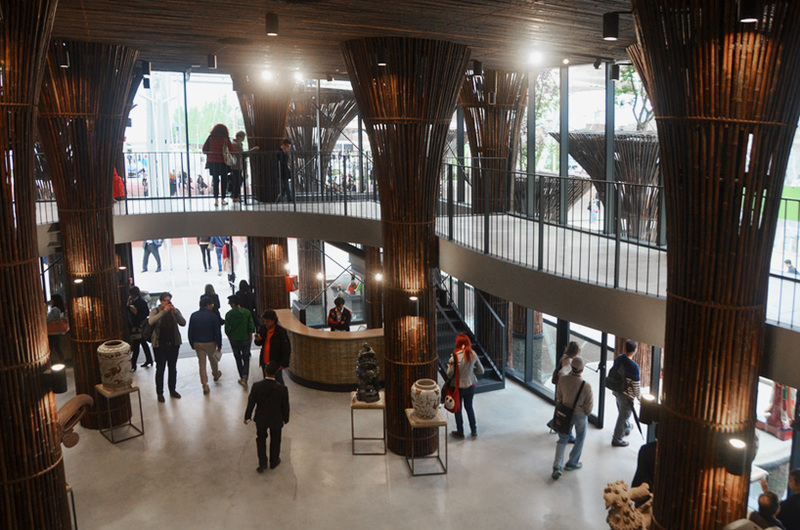 in order to reduce the lightweight building’s environmental impact, the prefabricated bamboo structure can be easily dissembled and reused after the event. 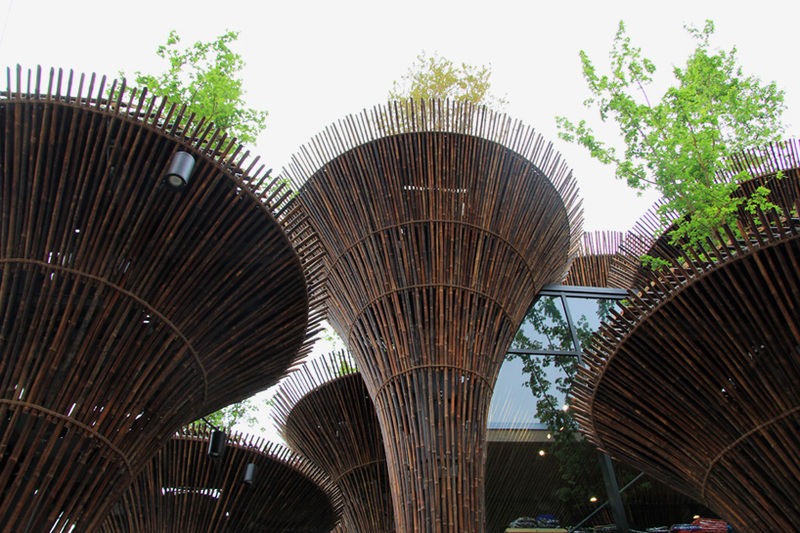 see designboom’s previous coverage of the vietnam pavilion here.